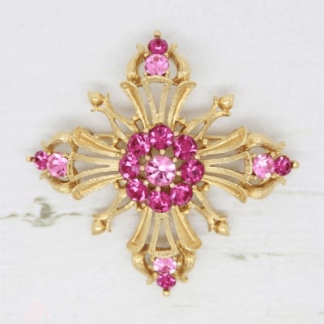 Description: This 1950s Jewelcraft brooch is a fine example of design and style. 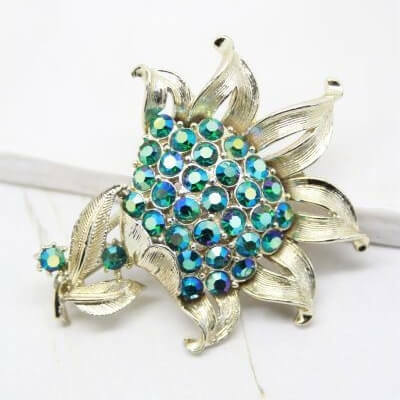 Featuring beautiful Aqua Blue Green rhinestones in a gold tone setting. 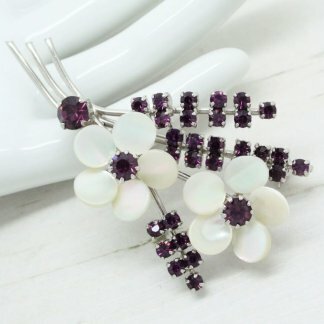 The floral theme of this brooch will work well with any outfit. Measuring approximately 6cm at tallest point, and in wonderful condition showing slight to no wear. Compared to some Jewelcraft jewellery this has survived very well complete with original rhinestones and a secure roll lock clasp to the back. 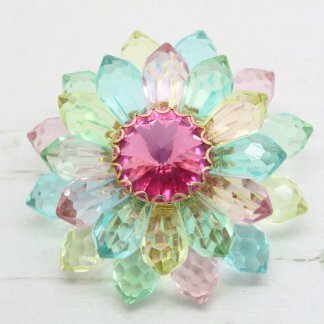 Fully signed, this bright colourful brooch would make a great addition to any jewellery box.